Murtagh in line for Crossmaglen return? 2007 All-Ireland winning Donal Murtagh could be in line for a return to the helm in Crossmaglen. Murtagh, who guided the club to three Ulster and Armagh titles during a four-year spell in charge during the late 2000s, is understood to be one of the names being considered by the club committee as they seek to replace Gareth O'Neill, whose reign ended with their Armagh SFC semi-final defeat by Maghery. Current under-21 managerial duo Kieran Donnelly and Francis Fitzpatrick are the other likely contenders for a job that will once more stay in-house. 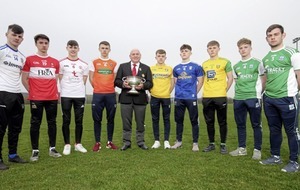 They took the club to five Armagh minor finals in a row, winning four of them as well as the 2015 Ulster title, and are currently preparing for an u21 semi-final against Dromintee this weekend, with Cross strong favourites to win the title. There is also the possibility Murtagh, Donnelly and Fitzpatrick could all go together as a managerial group. Meanwhile, Damian Cassidy has been appointed as the new manager of deposed Antrim champions Cargin, with predecessor John Brennan returning to his native Lavey. 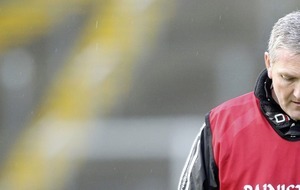 Cassidy had led the O'Rahillys to Tyrone senior titles in 2008 and 2013, managing them in two spells either side of his two-year reign in charge of Derry in 2009 and 2010. He stepped down after their championship exit at the hands of surprise packets Pomeroy in September, and has now been appointed by the Erin's Own club. The 1993 All-Ireland winner was confirmed as their new boss on Tuesday night and will make the short journey from Bellaghy to Toome in the hope of restoring Cargin's place at the top of Antrim football. 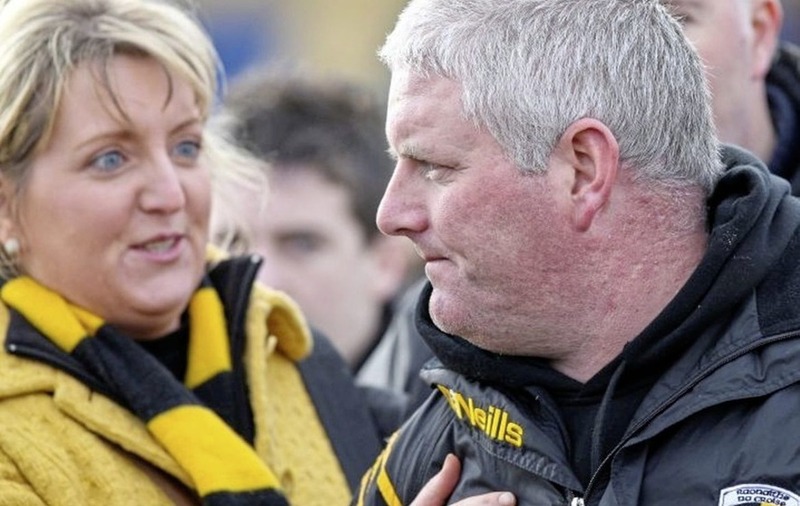 They had won back-to-back titles under Brennan, who had also guided them to titles in 1999 and 2000 and hadn't lost an Antrim SFC game with the club until their semi-final replay defeat by St John's in September. 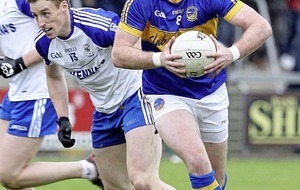 Veteran Brennan stepped down after that defeat and has returned to his home club alongside his nephew Seamus Downey. Home is where the multi-championship winning Brennan first made his name. He won the first of his 10 county titles with the Gulladuff outfit in 1988 and was part of the management team along with Brendan Convery when they won the All-Ireland club title in 1991. As well as Cargin, he went on to win titles with Carrickmore, Slaughtneil and The Loup, and was moments away from guiding Lavey to a first county title since 1993 back in 2010 when they had Ballinderry beaten, only to concede two injury-time goals in an unforgettable semi-final in Greenlough. The Johnnies are also on the lookout for a new boss, with Paddy Nugent understood to have stepped down after taking the club to the Antrim final. Former Clontibret and Monaghan player Mick O'Dowd, who has previously managed his native club, Cavan Gaels and Cullyhanna, has stepped into Cassidy's shoes in Clonoe. Noel O'Neill and Gavin Wylie are the new pair in charge of Ardboe after Brian McGuigan resigned after a single season that ended in championship defeat by eventual winners Omagh, and a league playoff loss to Errigal Ciaran. John McKeever is remaining in charge of Coalisland, with few changes expected on the Tyrone circuit, which was recently joined by former Derry boss Damian Barton, who has taken over at Edendork. Brian McGuckin, Barton's former sidekick and former Edendork player, has taken over at Pomeroy, with whom he stepped in to coach following Derry's championship exit last year. Oak Leaf and Ballinderry legend Enda Muldoon last week hung up the boots at the age of 40 after he was last week appointed as joint Banagher manager with St Mary's native and former Antrim trainer Declan ‘Honda' Mullan.